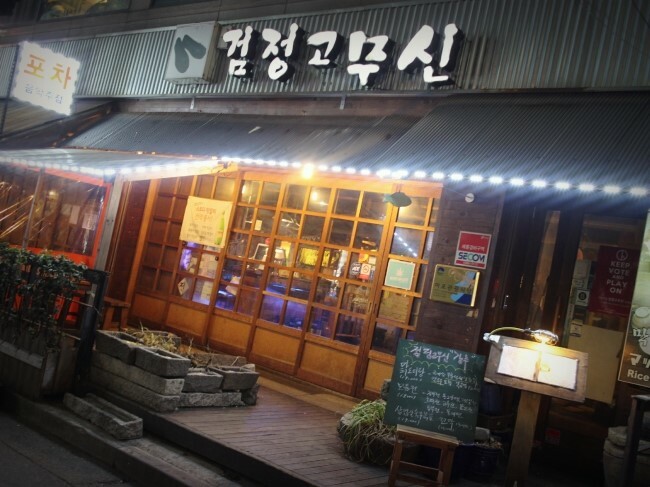 5 Amazing Makkeolli places in Hongdae! Do you remember our post on traditional Korean Alcohol? Today we thought we could introduce some amazing Makkeoli places that recently were featured in Naver News! We handpicked from the selection the ones that still receive great reviews online (as of March 2016), and hope you have a chance to visit them! This article focus on Hongik University Area because this is one of the most popular areas with our guests! It is located on the North side of the Han River, and is a popular university district. Hongik University is especially famous for their arts and music, which means this is a cultural hob nob for very interesting exhibitions and shows put on by students! Very, VERY popular both on weekends and weekdays, Hongik University is also very close to other top Korean Universities such as Yonsei University, Sejong University and Ewha University. 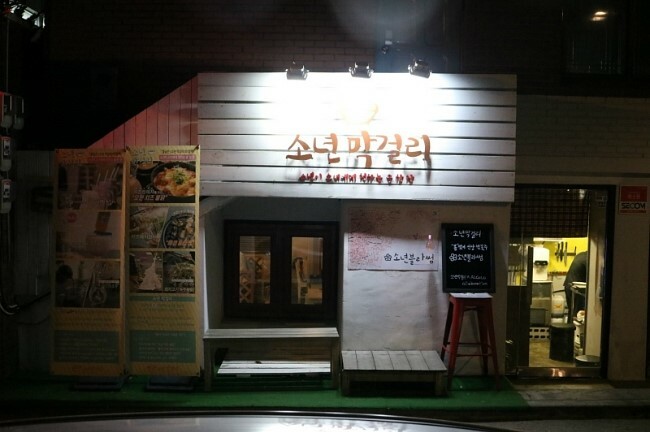 Seonyeon Makkeolli is a very small makkeoli restaurant/cafe that became famous because Korean celebrity Ha Jeong-Woo visited it! It is a very intimate and casual vibe, with a cafe like interior and amazing makkeolli cocktails with lots of fruit! The menu is very affordable and is aimed that university students. 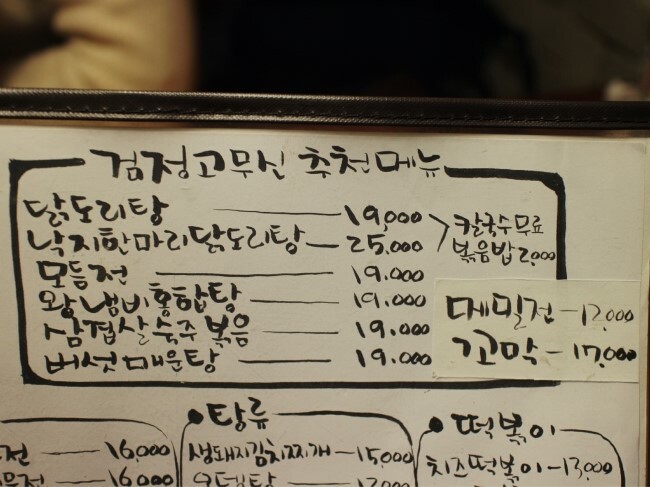 food costs between 10~ 20 thousand won a plate, while the maekkolli goes from 6,500 won for 500 ml. A small pitcher is about 500ml! So it is a perfect way to order a few pitchers and try out the different flavours! 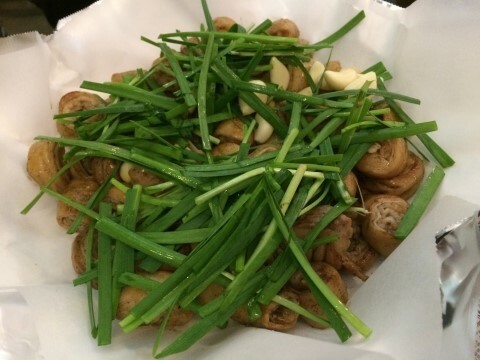 The restaurant is also famous for their side dishes! a lot of the dishes they have are slightly fusion, and makes a great pairing with the sweet makkeolli cocktails! Find the Google Map Location Here! Gazette Suljib is located outside of Habjeong Station, but it is a franchise so there is also one outside of Sangsu station! 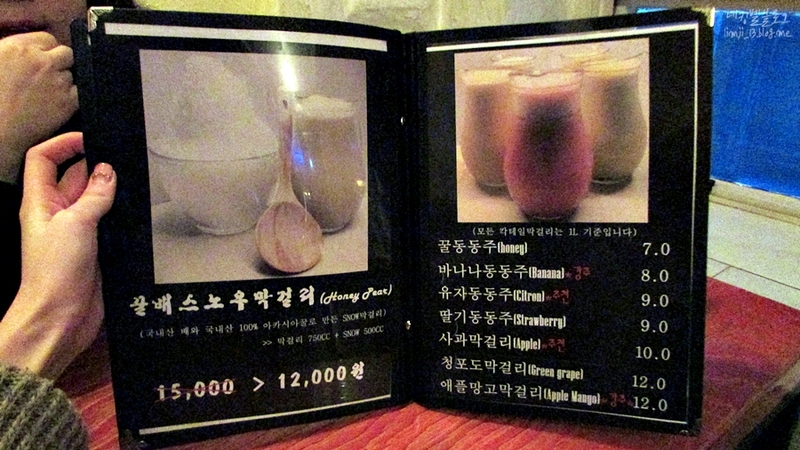 On the menu they have Makkeolli “Courses” where you can try of variety of different makkeolli at once! 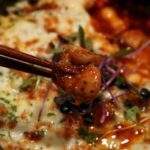 The cuisine is more oriented to traditional Korean cuisine, so it is a great place to try traditional Korean food pairings with traditional Korean liquor! 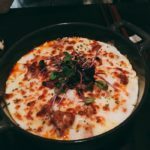 Slowly becoming famous and popular on social media, this is a unique Korean makkeoli place because it is run by a non Korean! The owner is a Finnish woman who opened her own Korean bar! With interior that combines Korean and Finnish decoration, the makkeoli is priced at an attractive rate for students, and the food is wholly Korean! What a great and amazing atmosphere! 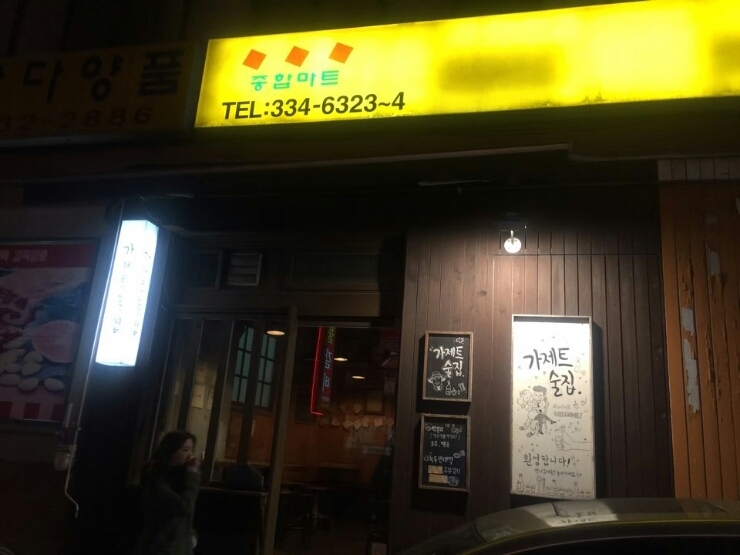 While officially they are open to 2 am, actually the owner says that they are open until they run out of the food! This restaurant is very popular with Koreans living in the interior, because it is a very vintage feel, old Korea type of bar! 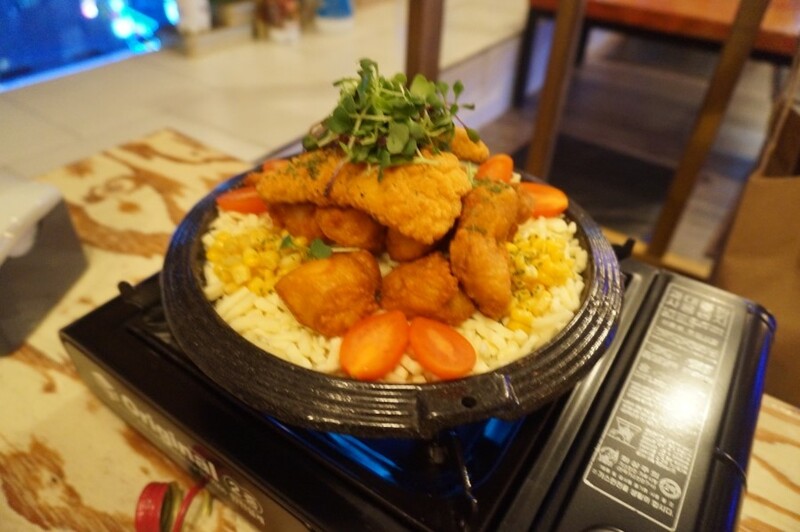 It uses the decor of an old fashioned restaurant, and it is a great place where you can enjoy traditional Korean food and liquor, especially because it comes in the traditional kettle! 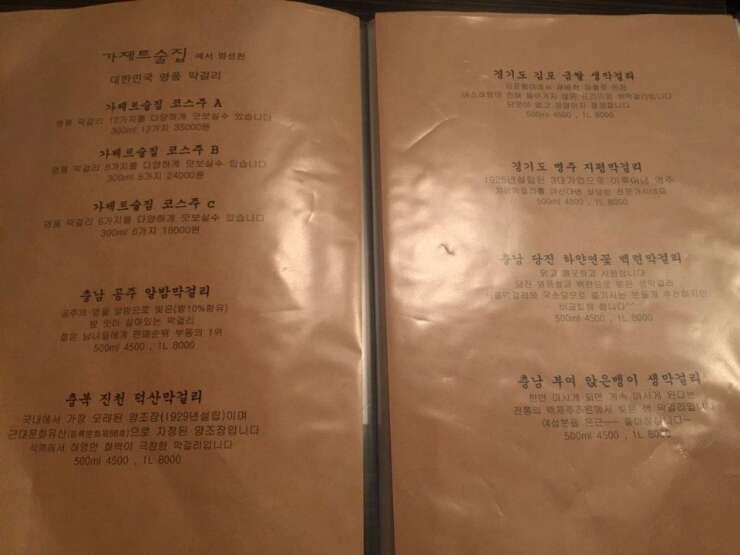 The menu prices are reasonable, with most of the food between 15,000~30,000 won. You should definitely check out the “recommended dishes”! They are most famous for their “Dakdoritang”, which is a spicy and savory stew with chicken and noodles that is cooked right in front of you! The inside is dark, but when you are with your friends does it matter? 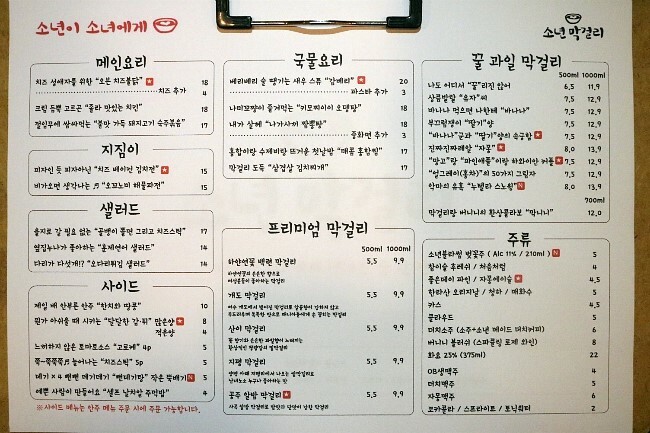 The menu has a wide variety of interesting food and drinks, typical for a Korean bar. So why did we save this place for last? 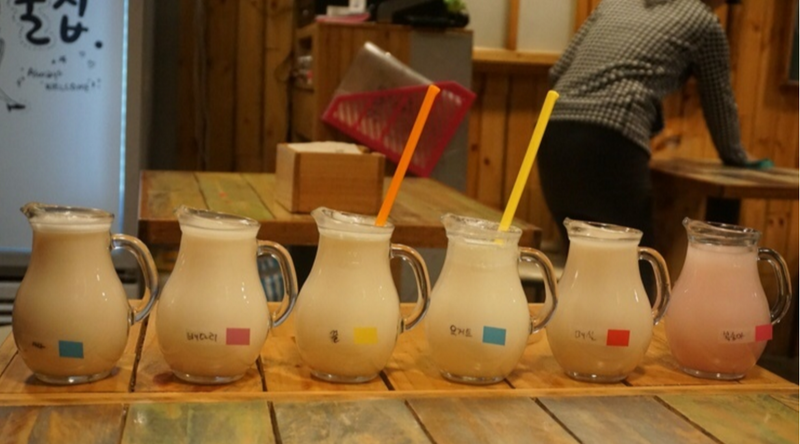 They offer 3 variety of makkeolli that you can enjoy for 2 hours, a 6,900 won a person! 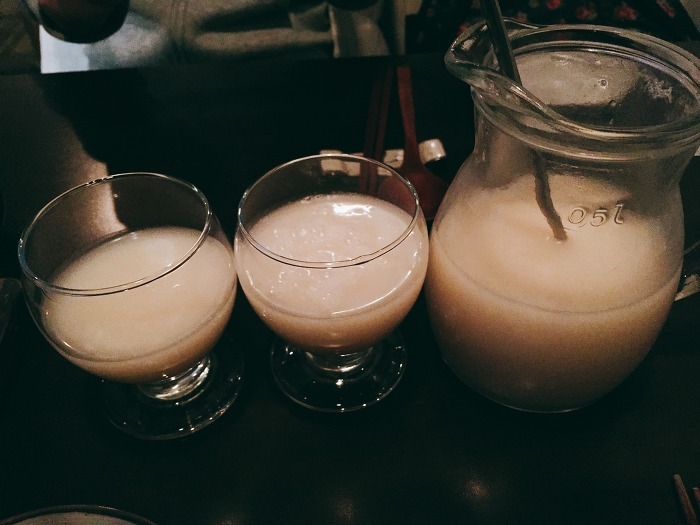 So this is a list of some amazing makkeolli places near Hongdae! What do you think? Know any more? Seoul’s 6 Must Visit Dessert Cafes!